Are We There Yet?? : Leaf Me Be! On the side of our house stands one tree - one rather large tree - that started dropping its leaves back around the beginning of September and continued to drop them until about a week and a half ago. As those following me on Facebook know, I have been battling fallen leaves now for several weeks and I vowed that Saturday was going to be the end of the battle. 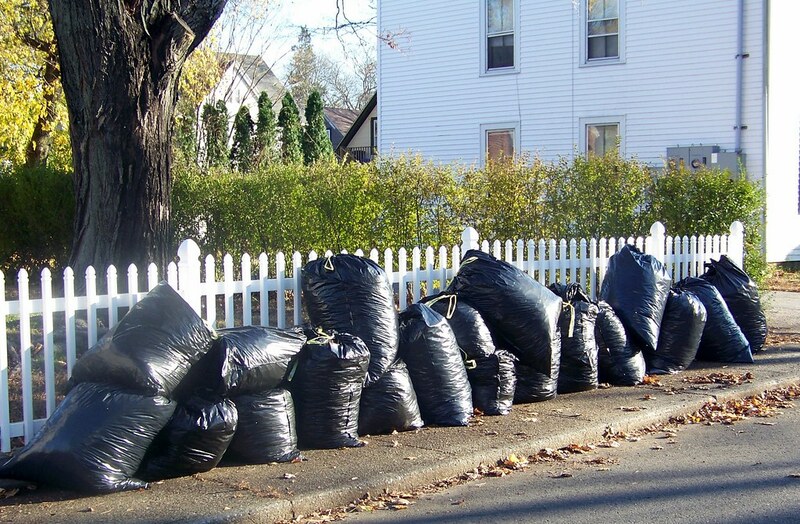 ... now to wait for the Norwich Department of Public Works to come by and remove the bags containing the bodies of the dead (leaves)! I do love fall but this part I could do without! I think I'm finally done, though ... or at least I sure hope I am! You and Amanda did a great job! Hope you treated yourself nice after all that work. 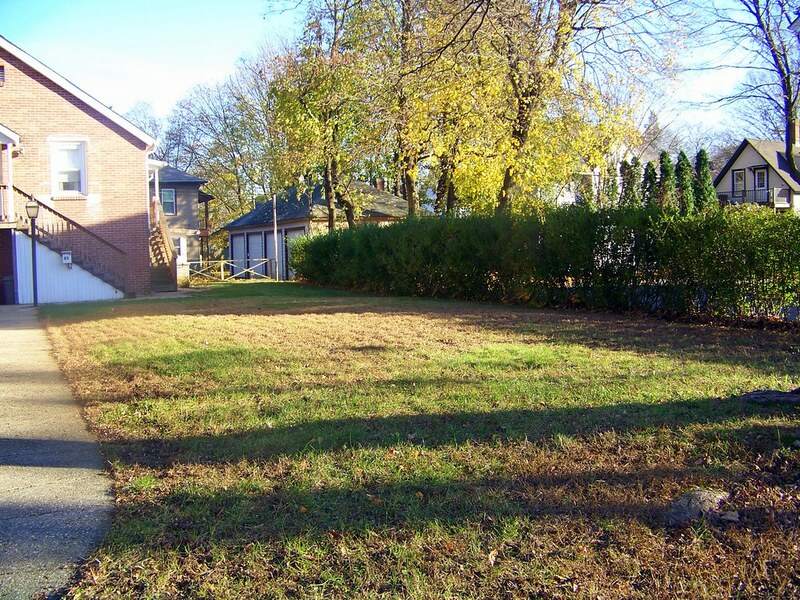 I'd say your landlord is very lucky to have a tenant who does all this yard work. Even if she throws you a couple of bucks (I hope she does!) it's still above and beyond. Wow! That's a lot of leaves, Linda! 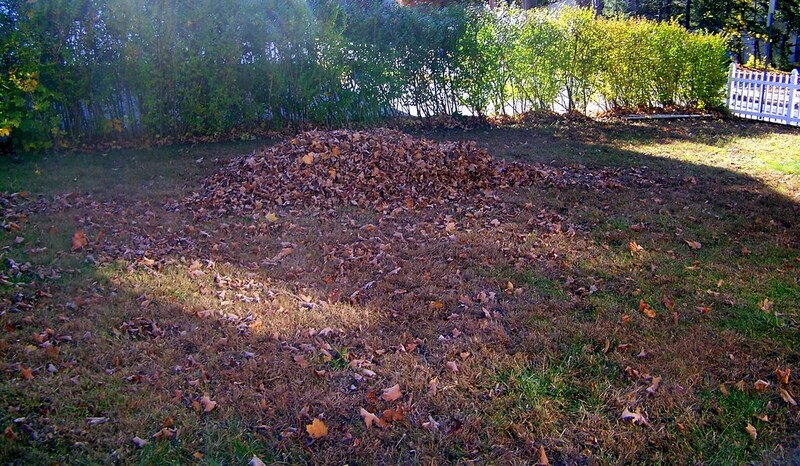 I used to love the smell of raked leaves. . . I hope Norwich mulches or composts all those leaves. Our trash people would never take those bags away! Now this is why I hate grass. You have to rake to see it. Now if that were just dirt under the tree, you could let all the leaves become mulch as Mother Nature intended sans cranky teenager and sore back. I guess I shouldn't tell you that I complained last week about the gardeners starting their leaf blowers before 9am on Saturday morning. I'll bet you are as tired as I am! My Dad has 6 huge Pecan Trees. I hate to think how many bags he's filled and hualed to the dump. sarge used to blow them in the ditch and burn them in podunk. he loved doing that! Holy Rip, Linda! I didn't think your yard to be large enough to encompass all that many leaves. I'm thinking you probably didn't think it could hold that many either though, did you? LOL love your tittle that's what I be doing to. Living in the country we get to burn are leaves. oh my, Duchess, what a royal pain. You do have a lucky landlord/lady to have you as a tenant . Hope your soreness is gone.